Is English your problem area? Wondering how a language that you speak so well, that is perhaps your native tongue could be problematic when it comes to exams? Well, it boils down to this – you get tested on grammar, comprehension and of course vocabulary and all of these you can get by when you speak! With exams however, you need to get the hang of all of these to be able to answer questions and score well. Find a qualified English tutor today and begin working on all these problem areas to ace your exams. Knowing the question pattern and glancing through the question paper before you begin answering will help you allocate time to each section and work on it within time limits. Comprehension questions as you know require a lot of time; it is very important to read and then work through the maze of questions that follow. Online English tutors can help you navigate this section with ease. Reading improves your vocabulary and reading on a daily basis can help you with your reading comprehension section. It is recommended that you read newspapers on a daily basis. Not only do they do wonders for your general knowledge and keep you abreast of the global happenings, they also help you with your vocabulary. This practice can help you tackle your reading comprehension questions with ease. There is no going around this one. You need to improve your vocabulary to ace your English paper and here’s how you can do it. Learn at least 5 new words daily and learn to use them in sentences in appropriate contexts. This habit of yours can help with close tests and reading comprehension. If your grammar is poor, better seek help via online English tutoring. Grammar knowledge is required for this section and you need to know subject verb agreement, tense agreement and prepositions for this section. When you begin reading sentences in a sentence rearrangement question, identify the first and last sentences. Similarly, once you read 2 sentences, try putting them in order and this will help you arrange the sentences quickly. These tips are sure to help you score better in your English exams. Remember that practice makes perfect; keep working on mock tests and seek English homework help to improve in problem areas. Good Luck! Listening is not hearing and it is active communication. 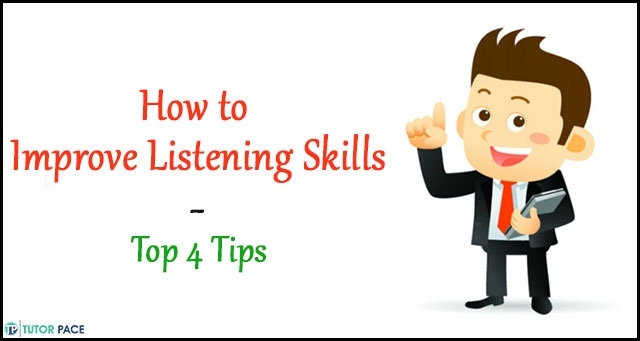 Good listening skills pave way for good communication and improved interpersonal skills. Here are a few listening principles you have to adhere to while listening to a lecture or speech. Your ears hear the words uttered by the speaker but you wander idly in mind, not catching up with the speaker’s ideas. Then you miss the essence of the speech and do no derive positive outputs out of his speech. Instead of entertaining personal prejudice about a topic, try to empathize with the speaker and step into his shoes for understanding what he wishes to convey. In that case, you will be able to catch his point of view and acknowledge his valid ideas. Active listening is born out of questioning, interacting with the speaker in the mid of his speech or lecture. This encourages the speaker and instills confidence in him to speak with better spirit and enthusiasm. Not all the time a speaker expresses his ideas through words. Many a time, you can get lots of interpretations and meanings through his gestures and pauses in speech. A close watch at the body language of the speaker brings a close communication between you and the speaker. Listening skills are essential for good spoken and reading skills. Online English Tutors can teach you more of the listening principles for improving your communication skills. 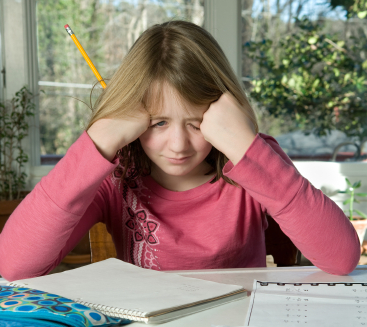 Why to seek English homework help? English homework help for difficult prose, poetry, drama and other areas of language learning is necessary for doing language parts without fault and for picking up good English skills. Improve your listening skills through online resources for great communicative abilities. English learning is basically acquiring a set of skills in reading, listening, writing and speaking. Without proper language skills, you cannot shine in the academic and career world since English is deemed as the lingua franca of the world even today. What to do for mastering English skills? Simple as it is, you need not break your head over this issue. Contact an online English tutor and he will guide you in amassing all language skills. With language labs and practice sessions for speaking and listening, getting expertise in these areas through a virtual tutor is not a big matter. How to excel in reading skills? Reading needs proper learning strategies like loud reading, stressing on right words for understanding, giving importance to pauses and punctuation marks, catching vocabulary while reading etc. Once you come into touch with online platform for gaining reading skills, you can gather reading practices, exercises, sample pages and sample readings from tutors who know how to drill you in reading a passage. This is an essential practice for getting good comprehension powers through quick reading which is of utmost help while sitting for standardized tests like SAT. Written communication is the backbone of any organization or business. Good writing skills include flawless sentences with correct grammar and right diction. English Help online proves beneficial for students who get stuck in their English essay writing and need expert guidance for writing flawless essays with proper presentation. The online writers teach how to present an essay with good introduction, topic sentence, well structured body and conclusion. How to write English assignments? English assignments are meant to evaluate a student’s writing skills, literary mind, sense of appreciation and knowledge in grammar, sentence construction and other such areas. Analyzing a topic for critical appreciation or exploring the moral value of a drama needs good understanding of the genres and authors. English Assignment help from learned scholars makes students ace their assignments with right techniques and insights. Learn English via online help for mastering language skills. How To Improve Your Reading Skills With An Online Reading Tutor? Reading is a pleasurable activity for most adults and yet for some students, reading isn’t quite as easy or effortless as it may be to others. While some may suffer from reading disabilities, some students find it difficult owing to focus problems and anxiety. Getting the help of experts such as an online reading tutor could be of great help in such cases. Here are a few reading tips from experts proficient in problems associated with reading that can help you battle your reading woes. It is quite ok if you can’t read quite as well as others in your class. You can overcome your reading problems with a few tricks and help from experts. Scan the content once before you read and you will be able to read better. This is in fact a recommended practise for people without reading problems too! Not only will this enforce more discipline, this will also improve your preparedness levels. Your mind will be attuned to reading and chances are you would get much more out of studying at a fixed time everyday when compared to taking up reading whenever it catches it your fancy. While reading, it is better to read in detail, highlight and take extensive notes. This helps you in better understanding the topic at hand. Get reading homework help when required and always get an expert to help you when in doubt or when you are having issues while reading. Thus, with a few tips and tricks and expert help, you will be able to conquer your reading problems and read many grades higher! English learning is an intricate matter as the language involves subtle understanding and meaningful interpretations of prose pieces, poetic images and grammar items. Learning the language demands literary skills, efficient vocabulary and flawless writing capabilities on the part of a student. Why academic English is tough? Lacking in academic standards of English learning is the fundamental drawback in many students due to their earlier negligence of language learning. When they reach a point of time like high school or K12, they find the subtleties of the language beyond their reach and thus are unable to cope with the demands of English learning. For them, there need to be some support in the person of an online English tutor who sets the right tune for language learning. English drama and prose lessons need explanations and interpretations which may not be within the reach of all students. As a corollary, students start missing their grades and go behind in their language learning capabilities. English homework help from renowned scholars and expert hands can help students in the right way and get them scores that are marvelous. The online English tutoring sites make it a point to bring forth one on one tutoring sessions which are wonderful for the fact that they render exact solutions for the learning struggles of students at their pace and style. The results would be astounding and rewarding with straight A and top ranks in the class. English help is essential for students since knowledge of English is the base for successful future ventures in academic circles and job prospects for students. Good communication skills in writing and spoken language boost success in life in all its aspects for a student. So, taking help from the start is the way to cross the hurdles in English learning and show signs of success for bright academic outputs and career ventures. English assignment help for complex presentations and essays is an essential ingredient of successful language learning. Students need proof correction and editing for getting good grades for their essays. Assignment help from expert writers can lead students in the right direction and make them understand the nuances of essay writing, embellishing techniques and proper language use. So, it is virtual help for English learning that can take students to the peak of performances in language learning and writing and help them gain stunning scores in all aspects of English learning. The teachers are supposed to help and guide the students in their assignments and projects to make them understand the importance of education in their lives. Tutor Pace is following the same spirit to help the students in the new way teaching and syllabus to the ease and understanding of the students mind. The English tutor follows the new age technique of teaching making it more interesting to understand their papers in lesser time and fast results. The old technique of education has always been to follow directly to the text books and having a clear knowledge about the English subject and solve the questions and answers, but with the change in the technique in education, now the online tuition has also adapted to the modern technique to make the students more interactive and have a fresh knowledge of their subject and syllabus making it easier for them to grab it all. The English assignment help to gives more emphasis on the creative side of the textual concepts and help the student to summarize the story in their own words, helping them to understand more profoundly about the different techniques of study and learning process. With the advent of online syllabus sharing English homework help the students to get the best tuition for their help and support as with this help they are able to finish their assignments in time and also the English tutor help them to go through the regular ongoing studies in the schools and classes keeping them ahead of all. So now you have to just get enrolled in the different courses available online and make you English base much stronger and better. The tutors would be guiding and helping you through the usage of different tools of study exercises making the understanding more interesting and of fun for you to grip it easily. How To Grasp The Finer Nuances And Read Between Lines In Poetry With An Online English Tutor? Poetry isn’t everyone’s cup of tea even though a person is a native English speaker; he/she may not be able to get the meaning of a poem without assistance! Though it might sound surprising to many, this is very much true and clearly evident from the fact that there are numerous students seeking the help of an online English tutor to understand poetry. So, what is it that makes poetry so difficult to comprehend and why do students seek help understanding it? Read on to learn more. Poetry is a form of expression that poets use to convey strong emotions – sorrow, happiness, joy, depression, anger and so on. It plucks at heartstrings and within just a few short verses has the power to move people to tears. It is one of the most powerful mediums of expression and thus students find it very difficult to understand the underlying meaning when they read it the very first time. Only a select few comprehend the subject at the first try while the majority remains clueless as to it. Thus, it has become very common for students to seek English homework help when it comes to poetry and they are increasingly doing so in the online platform. Here are a few tips to help students learn poetry better. More often than not, students tend to get at the meaning of poems just by skimming through it or looking at its title. This will not necessarily help them and in most cases skimming doesn’t help at all. A poem needs to be read more than once to understand what the poet is driving at! For starters, it is advisable that students first read the poem once and underline the words or phrases that they find difficult or hard to understand. Once you’ve read through the poem, try to find the subject of the poem and get this clarified with your tutor to see that you are on the right track. Also, see how the title fits into the scheme of things, why has the poet named the poem so and what the underlying emotion behind the poem is. Try to write down or compose a mental note on what the author feels about the subject in question and what the mood of the poem is. Once you’ve got the details right and read through the poem more than once, try to put down your thoughts on what the poet is trying to convey through the poem. Writing opinions or understanding down is a good way to see and clarify for yourself as to what you think about it and how much you’ve understood it. Poetry is one of the most powerful forms of artistic expressions and learning decipher the meaning of poems is sometimes a herculean task for students. Seeking English assignment help online for assignments based on poetry is a good idea for not only does it help students get the meaning, it also helps them learn to enjoy this powerful linguistic form. English learning is an integral part of good education and it is good to learn through good English tutors to master English language. Native speakers and teachers help you through learning difficulties and make you know what is what in language learning. You can weed out your difficulties in reading a prose lesson, poem or fiction or write a formal essay with ease, if you know how to access help from online tutors in English. Go in for one on one tutoring sessions: Customized courseware is available in one on one tutoring sessions with an English tutor. You can express what you desire in English and emphasize on coaching for those topics and areas wherein you need special attention. Suppose, poetry is a big fuss for you, talk to your tutor and ask him to help you read and interpret poems through fine strategies. He helps you with step by step analysis of a poem. Get instant feedback: Language learning imposes lots of errors especially in grammar, essay writing and constructing sentences. If you have doubts in grammar and go wrong in fixing grammar errors, get the guidance of your tutor once your exercises are done and rectify your errors immediately. Keeping things postponed is not good in English grammar learning as it is in the case of Math. Systematic approach is very essential in doing Grammar and your online English tutor does it well for you with his white board writings and explanations. Correct your phonetic discrepancies to fetch good spoken language: Speaking English language is a menace to many students. ESL students especially find phonetic symbols and the way you pronounce them as highly harassing. Correct your speech then and there with an English tutor online and pick up good conversational tone from him. Chat with an English tutor online: When you chat with a live English tutor online, you know how to interact, converse and also get clarifications for your requirements in prose, writing or fiction. It is instant help you get through live chat with online English tutors and it greatly helps you in doing your English homework or clarifying any aspects of writing within a few minutes and thus helps you gain good scores. English learning will not be tough if you interact with tutors online or chat live and pick out solutions for your language requirements on time. All the online tutoring services offer their best with 24/7 access and thus help you gain the required help at any time you need it. Today, we are living in a world where cut-throat competition is a way of life. Only with the right kind of schooling and college education, we can hope for a brighter and secured future. English, as a global language is what determines the track of our career along with the strengths of our employability. Right from the school level, English needs to be treated exclusively with high quality English homework help. If you feel that scoring well in English is a daunting task, what you need here is a change in your learning approach. The utility of your English language skills is not just confined to passing a particular examination. These skills empower you not only in your academic life but also in all other walks of life. This is the only subject that capacitates you in learning all other subjects also. It simply means, if you are not good at English, you will not be able to comprehend the gist of other subjects also; because the medium of all those subjects is also English. Therefore, seeking the right kind of English homework help is strongly recommended here to learn English in entirety. With your online tutor, you can get one-on-one English homework help to do the homework with enhanced understanding. The individualized attention enables you to learn all the rules and usages in a swift manner. Online tutors do not follow the century-old methodologies of teaching, thus you are able to learn this language in a quick, practical and effective way. Do you feel embarrassed in class due to incomplete English homework daily? Are you not able to do your homework because of poor reading and writing English skills? Whatever the reason may be, Tutor Pace provides you with effective English homework help online. Since students demand a convenient option to learn so e-tutoring is being trending among them due to its flexibility. Our tutors are well-versed with diverse concepts of English and provide you with expert homework help. You can get assistance with writing error-free essays, understanding literature, building strong fundamentals of grammar and much more. Our e-learning sessions are beneficial but are economical and fit your budget well. We don’t charge large amounts as coaching institutes rather adopt cost effective approach.